If you are looking for a career that will introduce you to dynamic new concepts of cutting-edge technology and an exciting work environment in an ever changing industry both locally and globally – join us and become part of our legendary status. Volkswagen’s Graduate Trainee Programme is your opportunity to explore the dynamic world of building People’s Cars. You’ll receive exceptional corporate, personal and leadership development, which will allow you to get to grips with the working world and lay a solid foundation for a successful career. Flexibility and the ability to adapt to an ever-changing world of innovation and creativity. Adherence to our values, which include Customer Nearness, Top Performance, Adding Value, Renewability, Respect, Responsibility and Sustainability. Required qualification: A degree, diploma, post-degree or post-diploma in Cost and Management Accounting, Finance and Accounting. Required qualification: A degree, diploma, post-degree or post-diploma in Human Resources or Industrial psychology. Required qualification: A degree, diploma, post-degree or post-diploma in logistics or Business Management with Purchasing as a major. Required qualification: A degree, diploma, post-degree or post-diploma in logistics management. Required qualification: A degree, diploma, post-degree or post-diploma in Journalism, Media or Public Relations. Required qualification: A degree, diploma, post-degree or post-diploma in Commerce, Business Science, Marketing or Economics, preferably at an Honours level. Required qualification: A degree, diploma, post-degree or post-diploma in Information Technology/Systems. 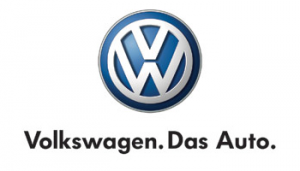 Volkswagen South Africa will select individual’s applications that display the relevant competencies and qualifications required for various positions. A screening interview and a cognitive assessment will be arranged for short listed candidates. Selected candidates receive an invitation to visit the Volkswagen plant where they will have an opportunity to gain more knowledge about the Volkswagen family and culture in a semi formal environment, followed by final interviews and assessments. Formal training offers are made to successful candidates giving them the opportunity to join the exciting world of Volkswagen! All applicants with South African citizenship will be considered. Preference will be given to the designated groups in accordance with the Company’s Employment Equity Policy and Plan.